Based on 461 customer ratings. Everyone loves Giordano’s, and that’s why we’ve been a Chicago favorite since 1974! Stop by our Downers Grove restaurant, where we have a full menu with wine and beer selections. You can also opt for pickup or delivery, and bring the aromas and flavors of Giordano’s to your home. Since 1974, Giordano’s has earned a reputation for constructing the best Chicago-style pizza in the Windy City region. We’re more than a restaurant — we’re a Chicago tradition because we handcraft each and every pizza pie, using the old world techniques practiced with tender loving care that only true artisans have. Whether you’re a Downers Grove resident or you’re just visiting the Chicago area, you can savor our world famous tastes right here on Main Street. Why Is Giordano’s the Best Pizza Place in Downers Grove? The flakiest double crust that tastes like pie crust. The fluffiest mozzarella made just for Giordano’s from a small family farm in Wisconsin. The freshest meats and vegetables, built with care into each and every deep dish pie by 6 trained artisans. 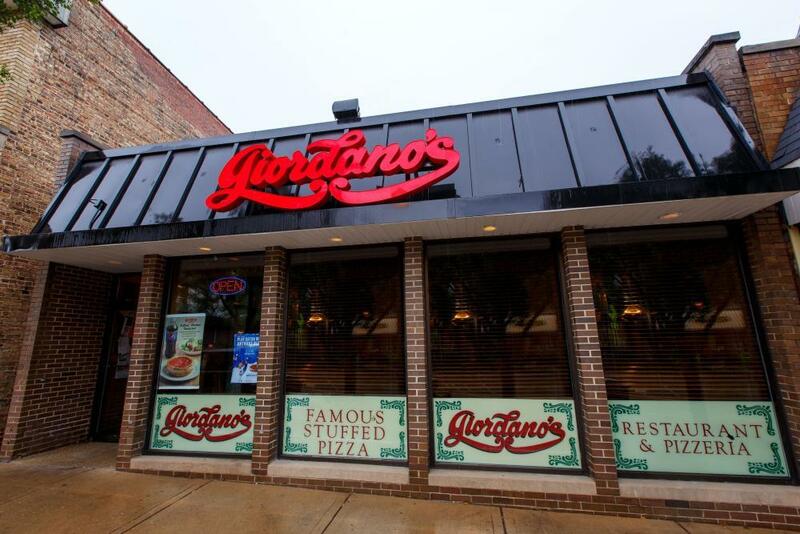 That’s Giordano’s — and it’s why we’re the best pizza delivery and restaurant in Downers Grove. Although it’s true that Giordano’s is famous for our mouth-watering pizza pies, we also have a full menu of delicious options if you’re not in the mood for deep dish pizza! We have savory pastas. We have hearty sandwiches! We have fresh salads and gluten-free options that are healthy for your heart and waistline. Just ask!